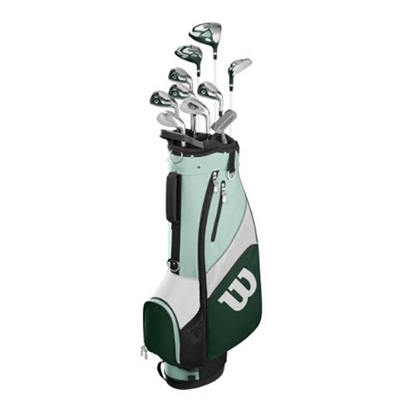 The Wilson Profile XD Complete Golf Club Set are customized based on lengths, shafts and grip size to fit golfers to their swing and physical characteristics. 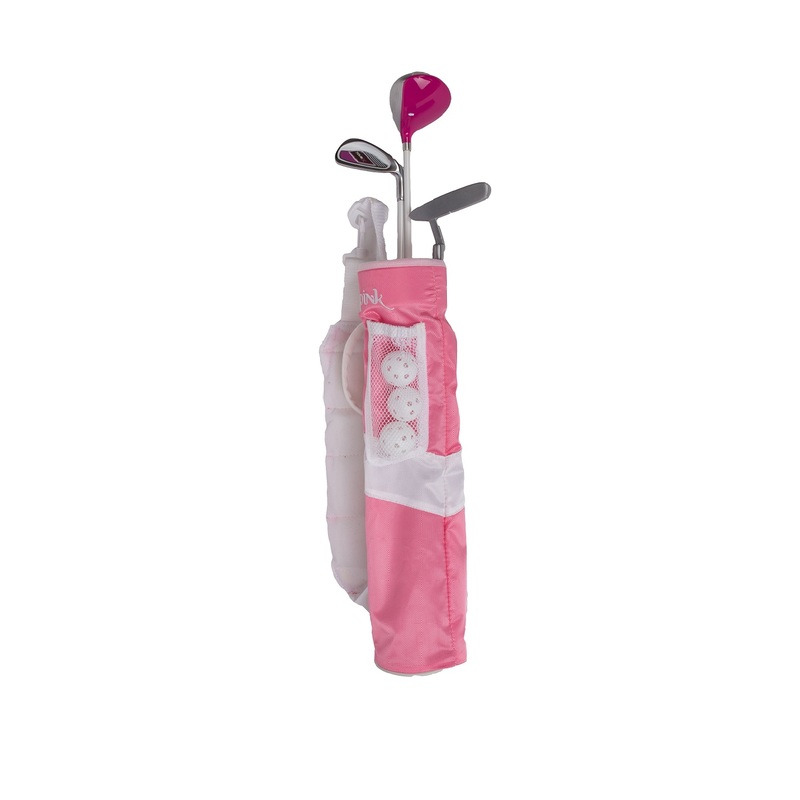 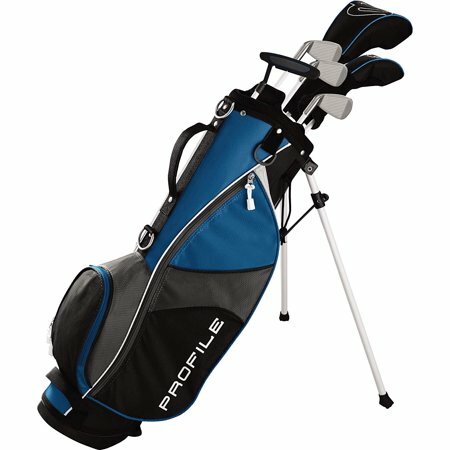 A unique custom fit system in a box, this set is designed for kid's, ages 5-8, playing the course regularly or newcomers looking to take the game seriously. 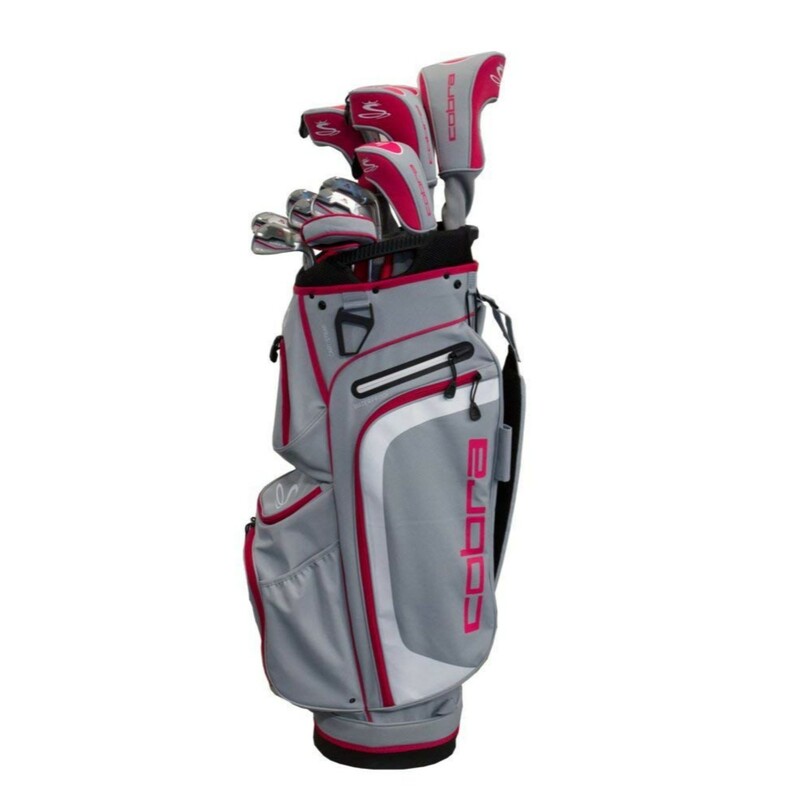 The women's Cobra XL Complete Set is the perfect all-in-one performance package for golfers seeking maximum distance and game improvement. 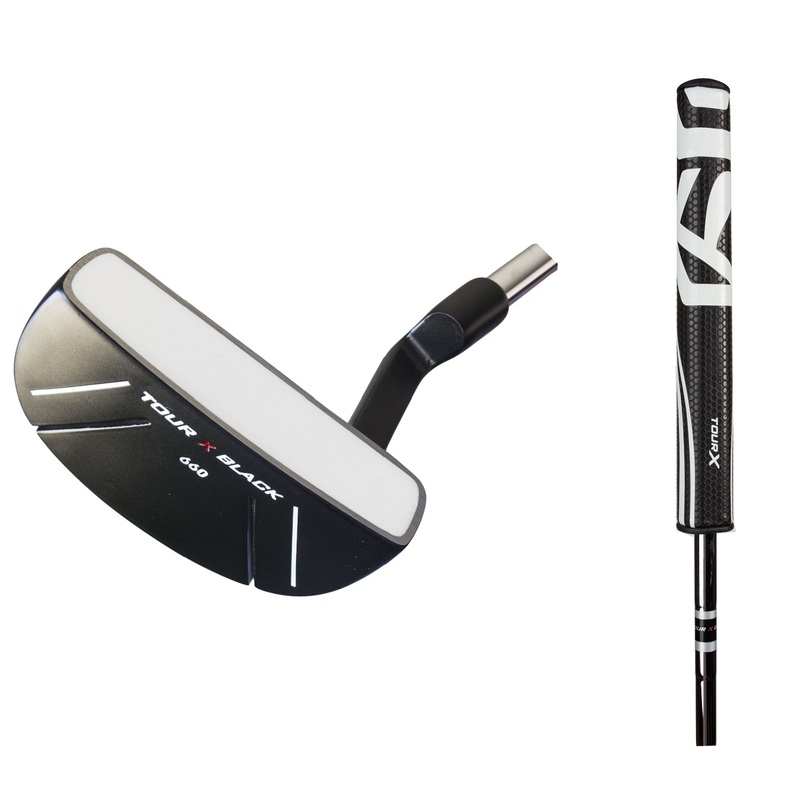 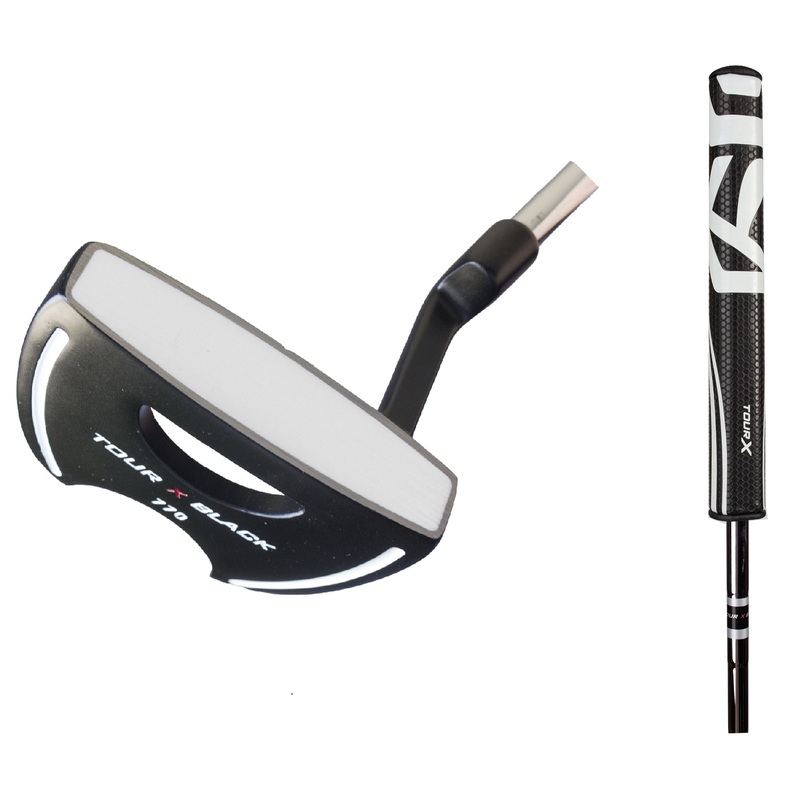 Low, back CG weighting delivers the best combination of spin, launch and distance throughout the set. Ultra-Lightweight shafts and clubhead designs from the Driver to Irons creates more speed for effortless distance and launch for Ultimate Game Enjoyment. 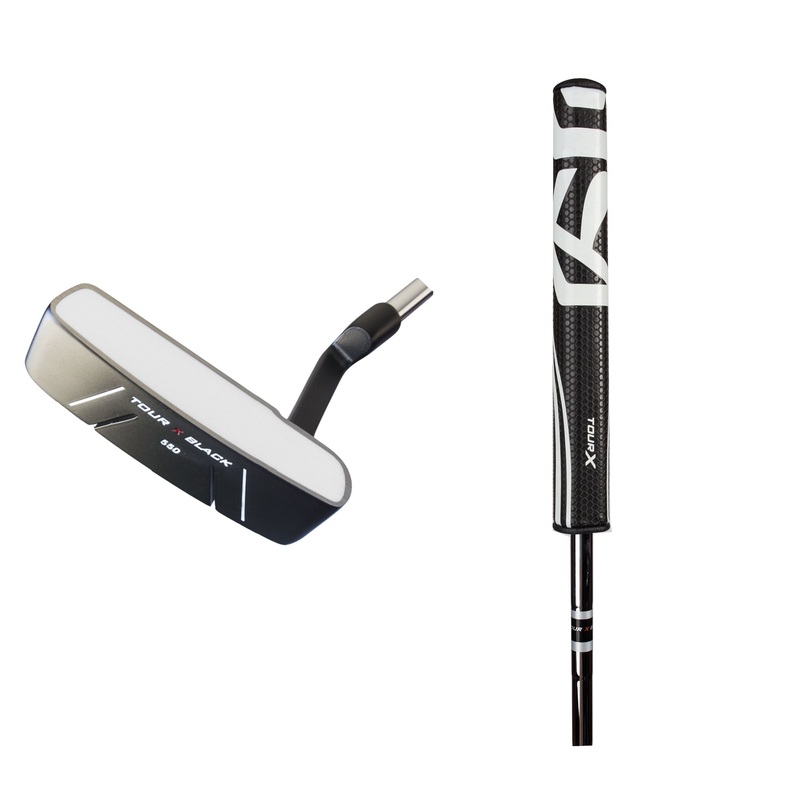 Hybrids in the set replace long irons to add more confidence on approach shots into greens. 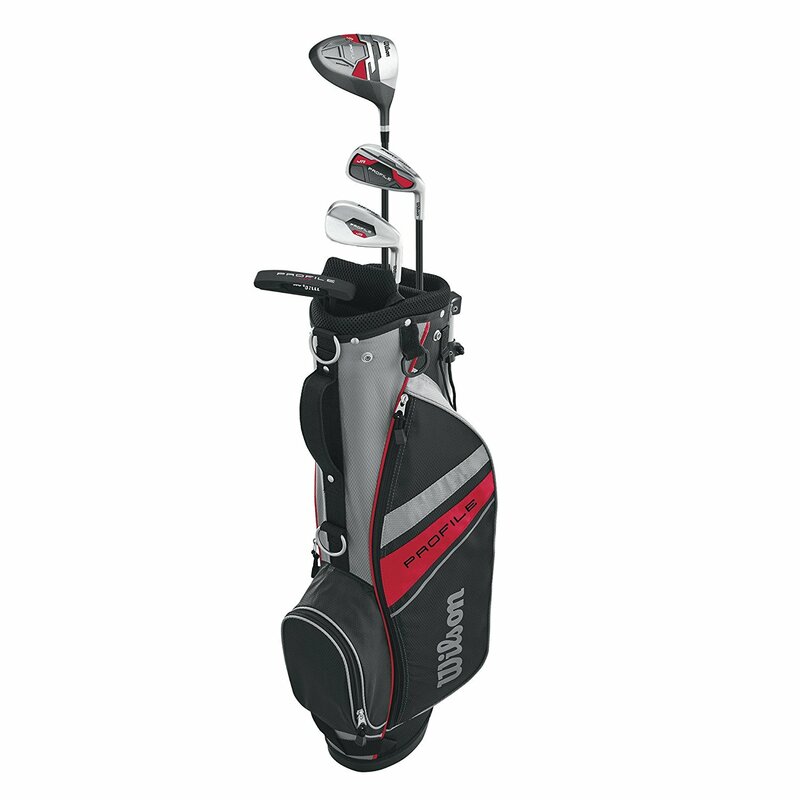 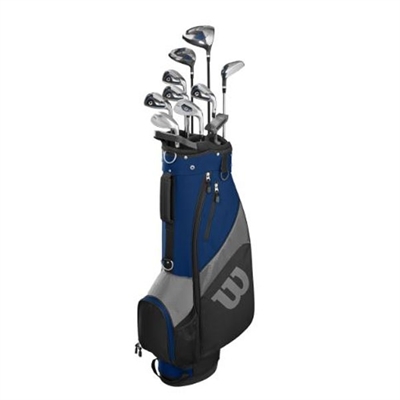 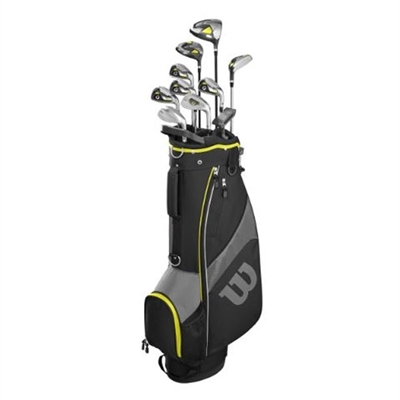 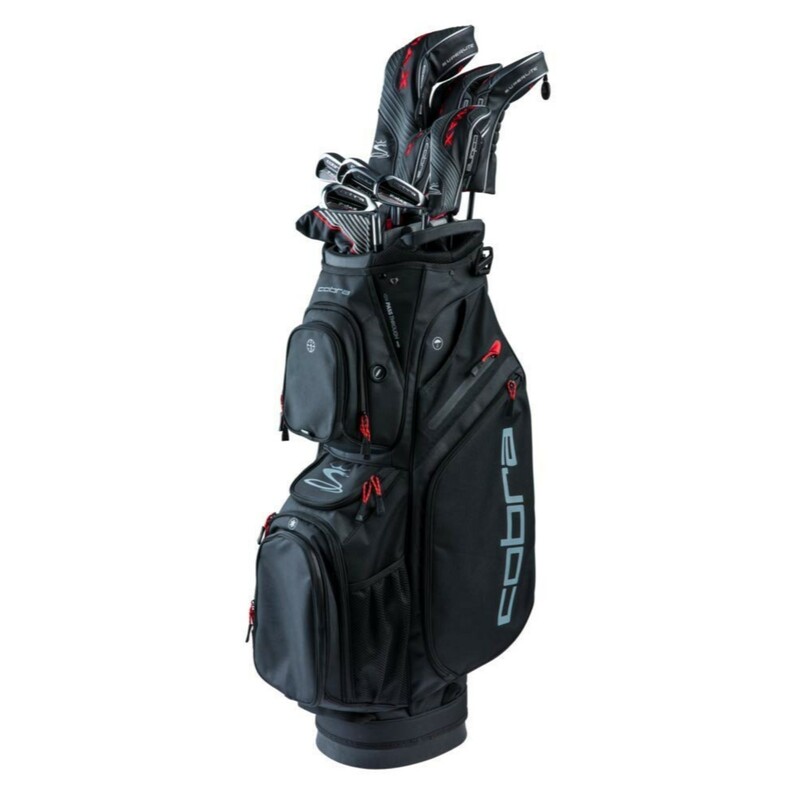 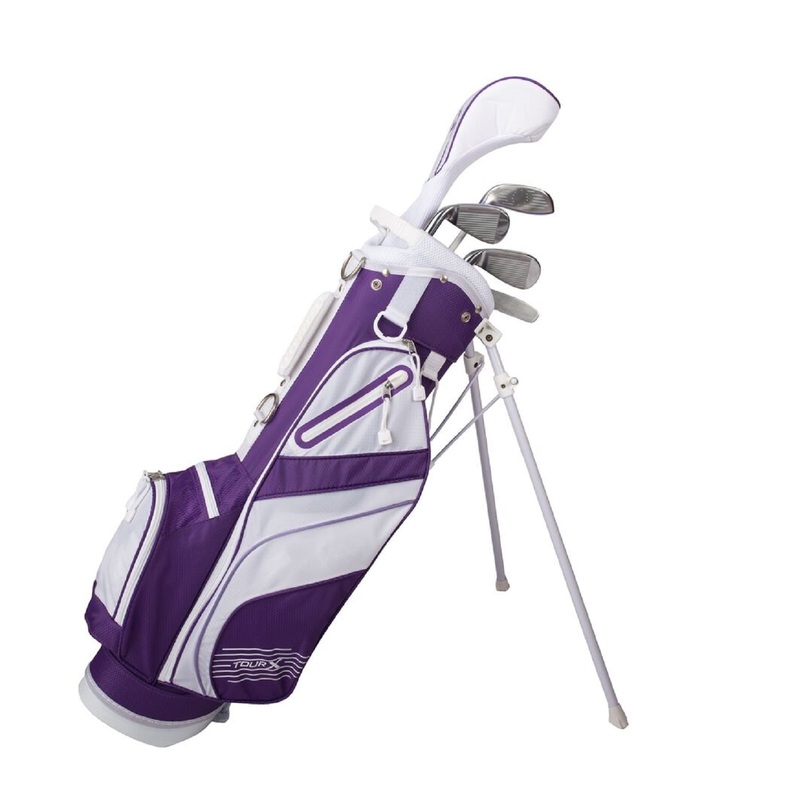 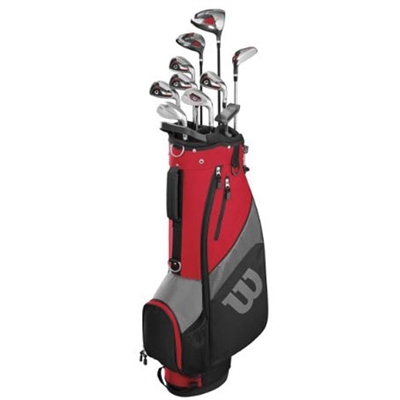 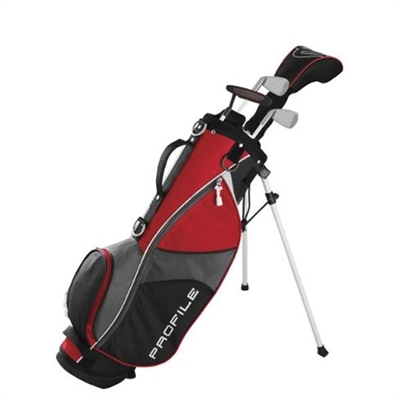 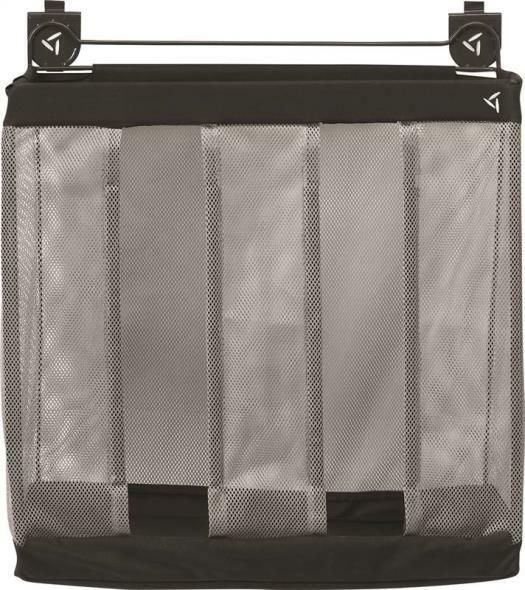 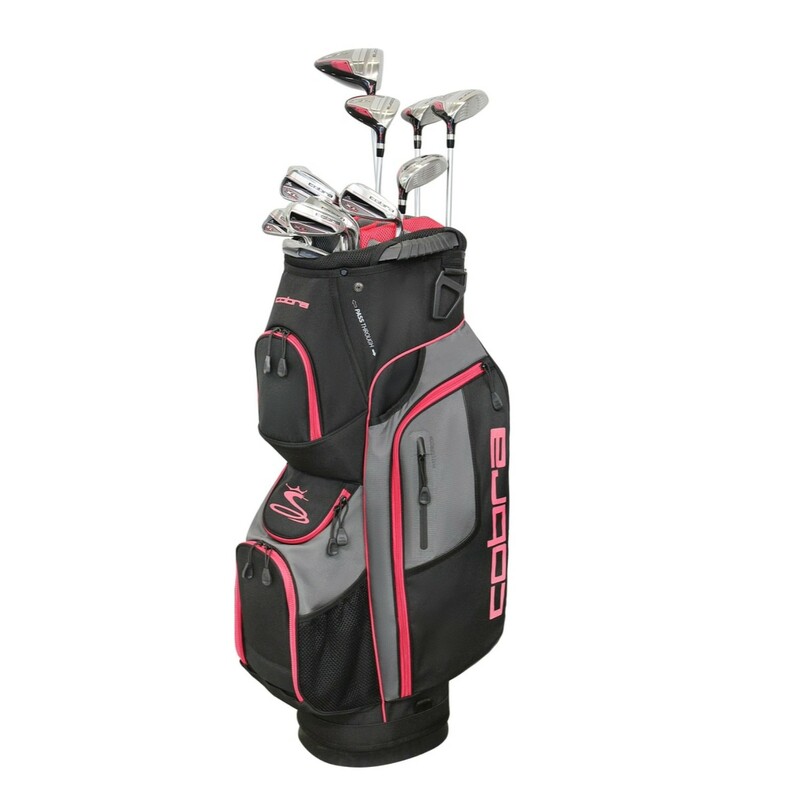 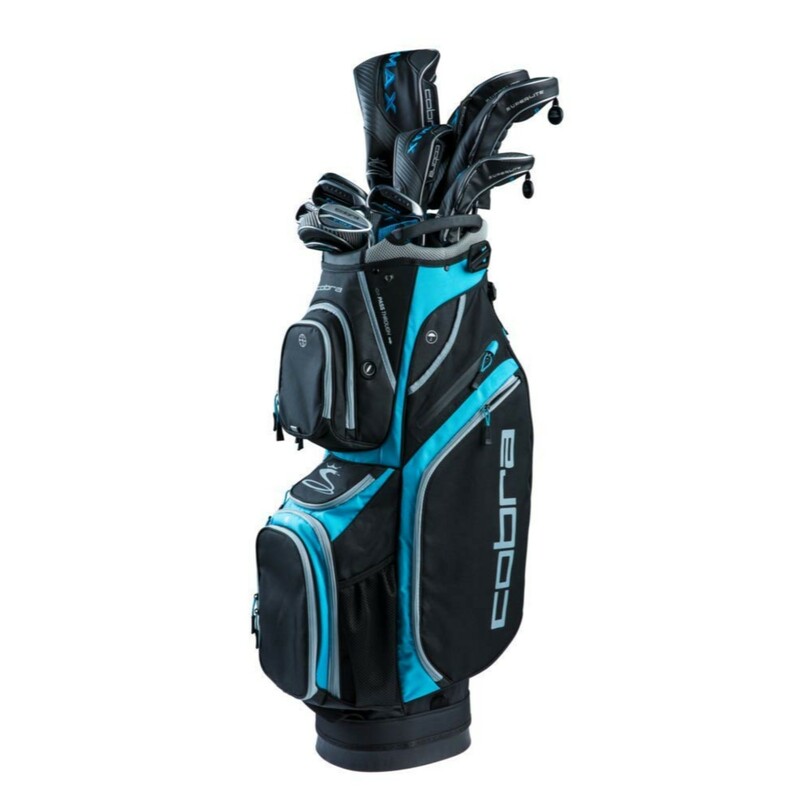 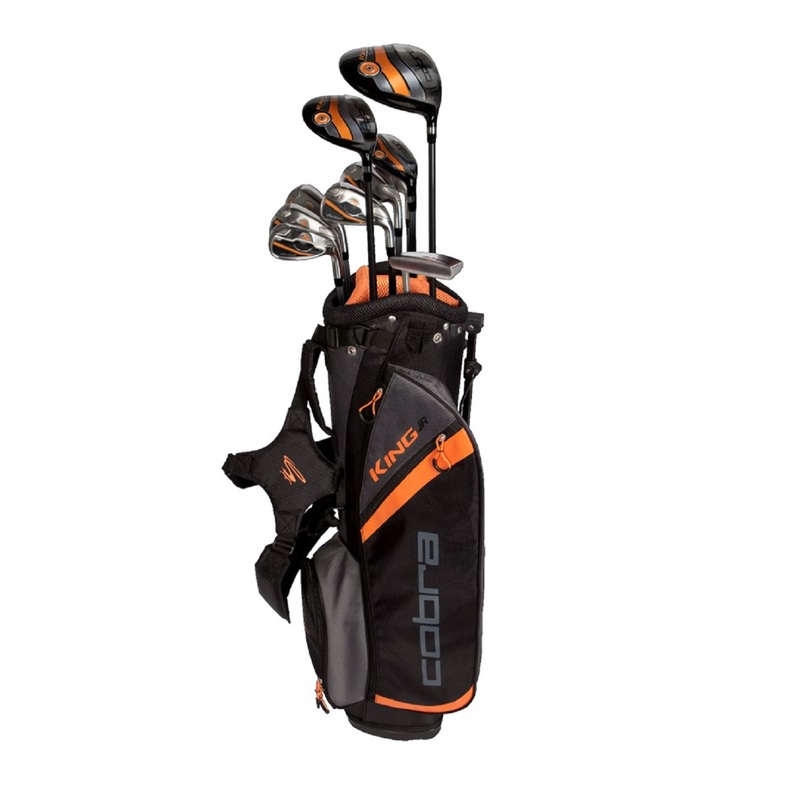 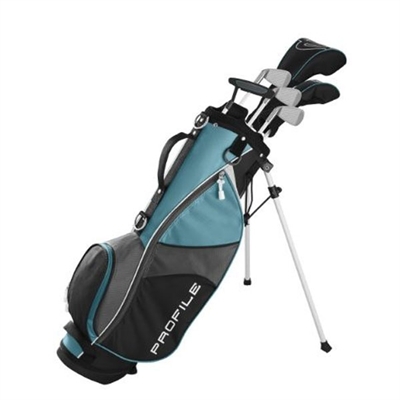 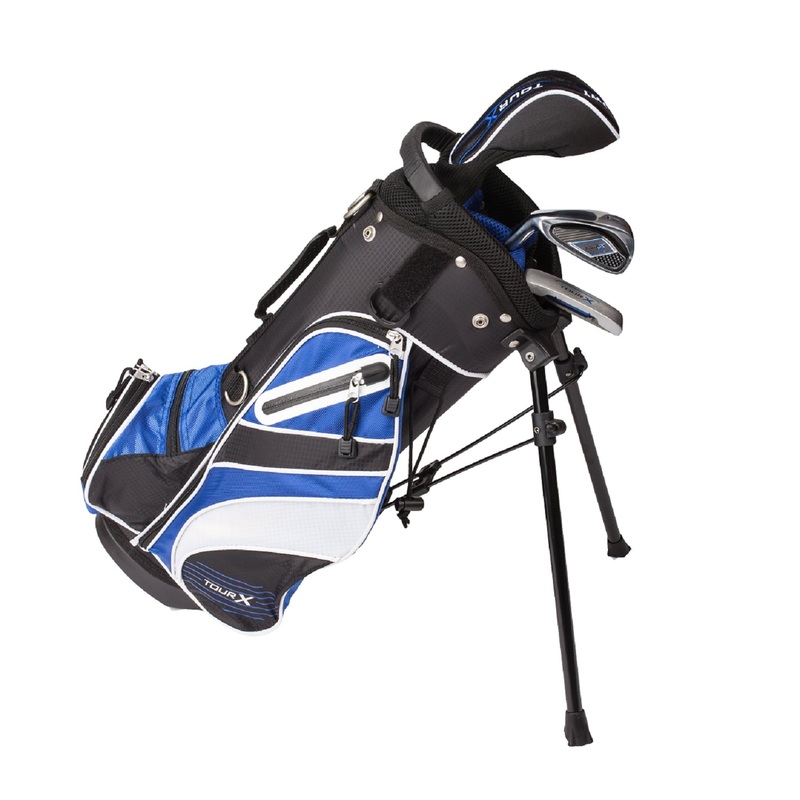 Premium cart bag includes 6 convenient zippered storage pockets, 2 insulated beverage pockets and an additional waterproof compartment.